A unique formulation developed by Rustins. Suitable for all types of wood, brings out the beauty of the wood by providing a natural open grained finish. Hazard safety codes: R10, R66/67. Approx coverage 14m2 per litre. 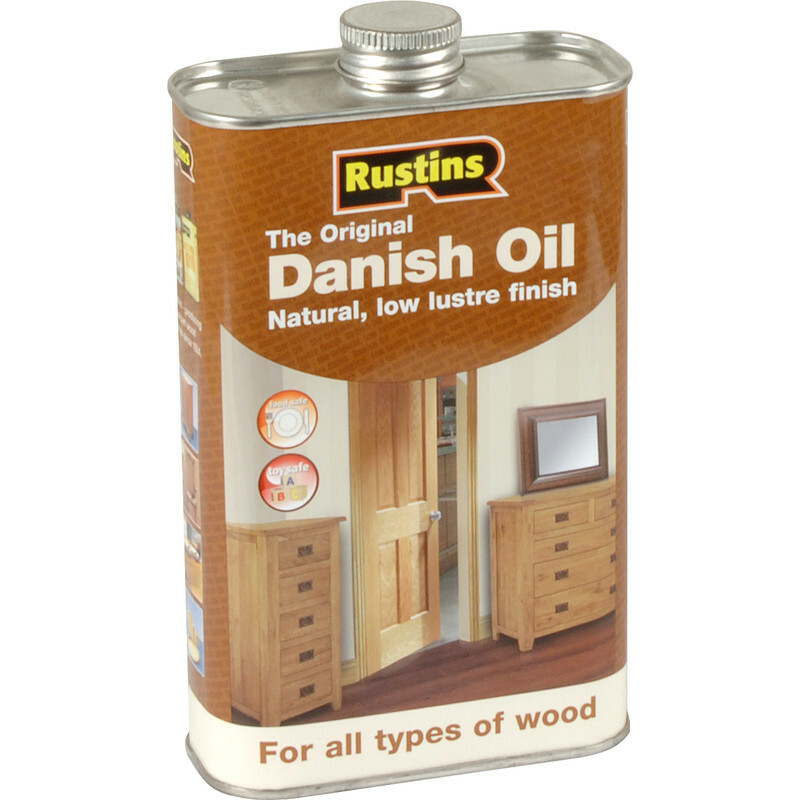 Rustins Original Danish Oil 500ml is rated 4.7 out of 5 by 38. Rated 5 out of 5 by Den17 from Great finish Used on windowsill, easy to put on and lovely smooth finish. Rated 5 out of 5 by Smyth from Excellent coverage Easy to apply, excellent coverage,, nice finish - exactly what i needed.